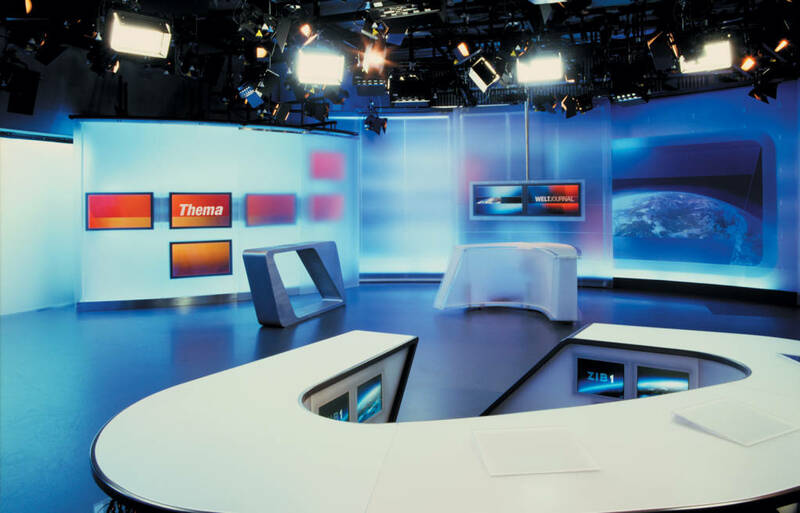 The Austrian broadcaster ORF commissioned a new home for its entire news operation requiring multiple programme formats to be seamlessly integrated into the studio volume. 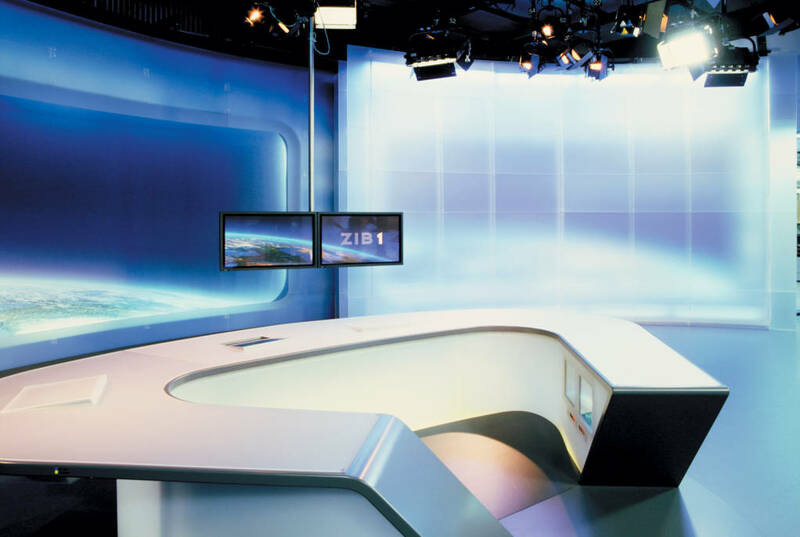 Veech x Veech developed a new 360sqm TV studio based on a circular, 360-degree design that allows sliding walls to define the various programme segments. 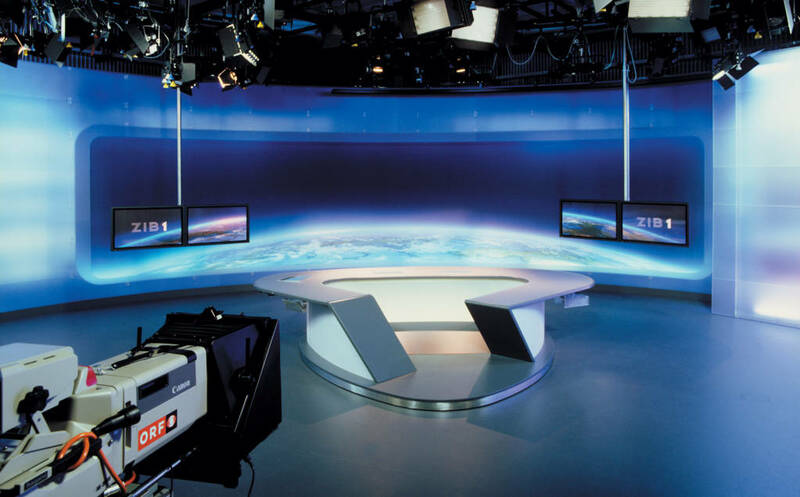 This flexibility accommodated the channel’s widely varying programming needs, which ranged from seven daily news programmes to various live magazines and pre-recorded programmes. 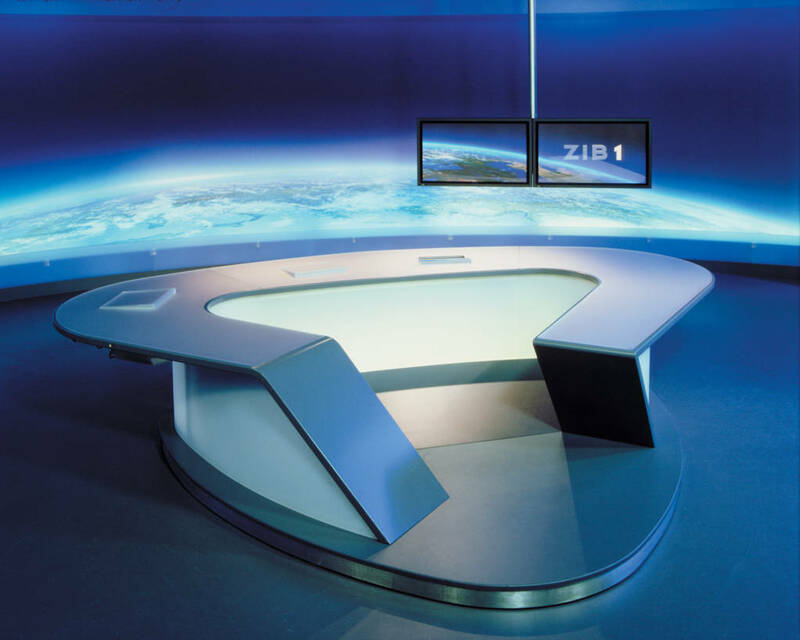 The news desk forms the central element, which can rotate to five different positions throughout the daily news cycle. 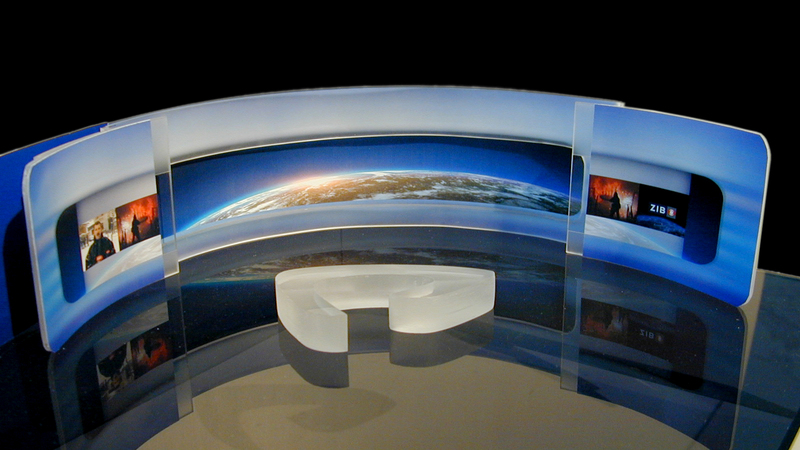 Translucent sliding walls help to frame and mask the different studio sets as required. 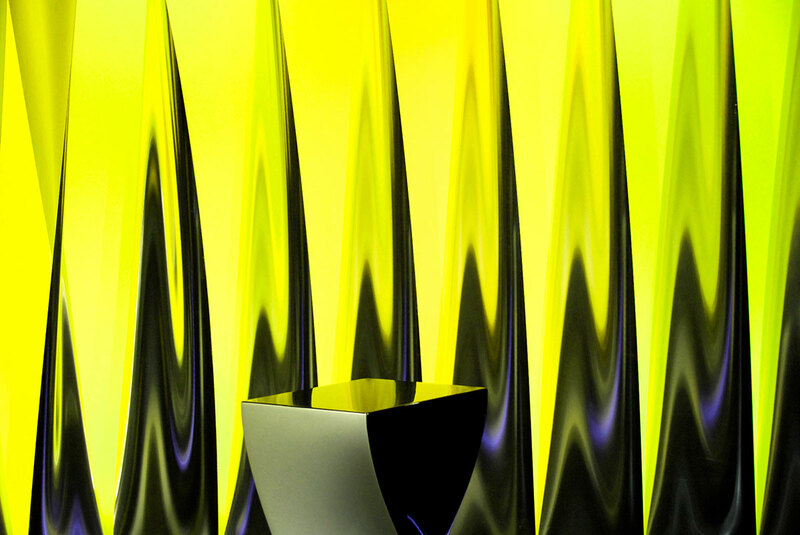 Computerised lighting systems backlight a series of rotating walls to accentuate various surfaces such as translucent plexiglass and large-format, printed textile images. 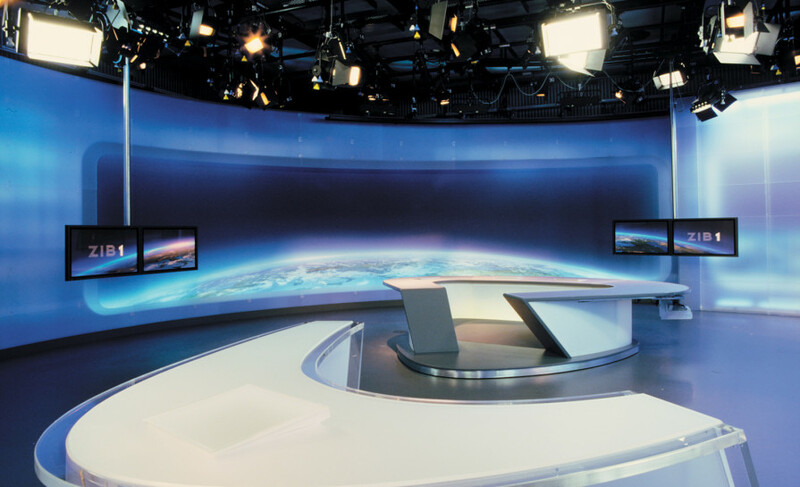 The secondary area adjacent to the news desk provides a flexible space for weather reports, studio discussions, breaking news reports and other smaller-format news coverage. 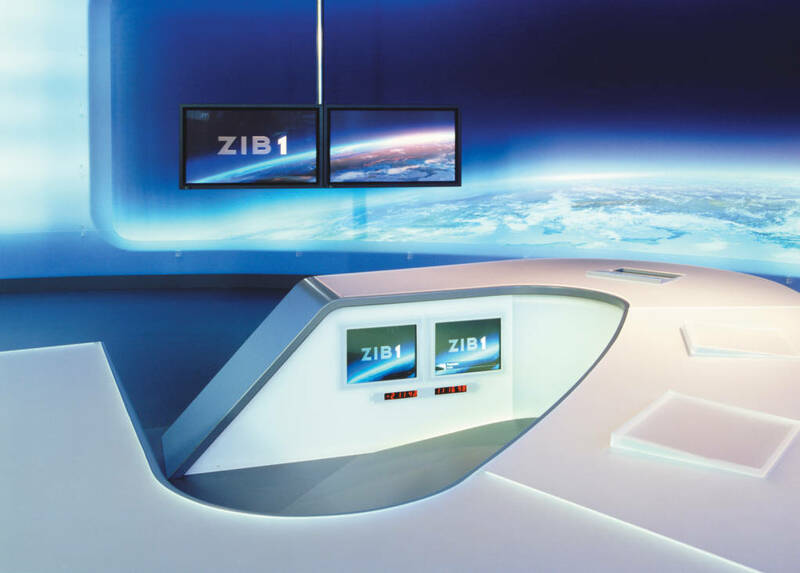 To add flexibility, flat screen monitors and graphics are mounted on tracks, which revolve around the studio, delivering a highly malleable space. 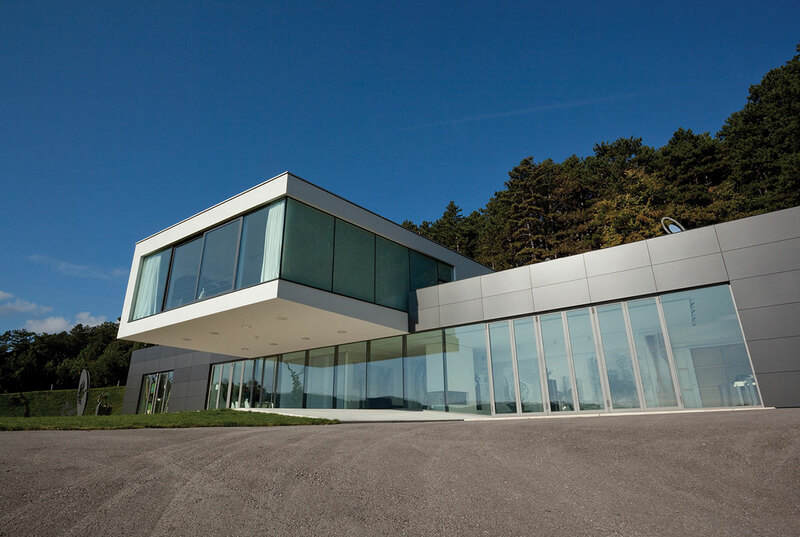 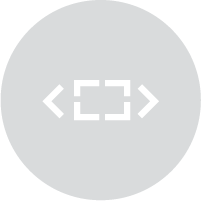 The project received the following prestigious award nominations: Promax, Eyes and Ears, and Design Austria Joseph Binder.